The Socio-Ecological Resilience Project is a research project under the Ecosophy Program of the Research Institute for Humanity and Nature (RIHN), Inter-University Research Institute Corporation National Institutes for the Humanities, Ministry of Education. The project is a multidisciplinary research aiming at tackling challenging issues of poverty, human security and environmental degradations in a semi-arid area's rain fed agricultural economy that is highly vulnerable to climate and other environmental variability. The project involves researchers from various disciplines and from various international communities. Prof. Chieko Umetsu gave a keynote speech “Food Security and Resilience in Semi-Arid Tropical Zambia” at the Japanese Society of Sand Dune Research 59th Annual Meeting Symposium “Direction of Food Issues in Drylands” on July 4, 2013 held at the Tokyo University of Technology, Campus Innovation Center. At the Japanese Association for Arid Land Studies 2013 Annual Meeting held at Hiroshima University during May 25-26, Dr. Yudai Ishimoto, RIHN, received the Best Poster Award for his presentation "Safety Net in Zambia, Semi-Arid Tropics: A Case Study Using Mobile Phone." The poster was co-authored with Mr.Hidetoshi Miyazaki, Dr. Ueru Tanaka and Dr. Chieko Umetsu. Congratulations to all! At the Agricultural Economics Society of Japan 2013 Annual Meeting held at Tokyo University of Agriculture during March 29-30, Mr. Ken Miura, Ph.D. candidate at the Graduate School of Economics, Hitotsubashi University received the Best Article Award for his paper "Shock and Livestock Transactions in Rural Zambia: a Re-examination of the Buffer Stock Hypothesis". The paper was co-authored with Dr. Kanno Hiromitsu and Prof. Takeshi Sakurai and published at the Japanese Journal of Rural Economics in 2012. Congratulations to all! 8th December 2012 Dr. Yudai Ishimoto Organized a Seminar on "Drought and Changes of Human Activities in the Sahel"
Dr. Yudai Ishimoto organized a half day seminar on "Drought and Changes of Human Activities in the Sahel" at the Japanese Association for Arid Land Studies Section Meeting. In the seminar, Dr. Yudai Ishimoto and Mr. Hidetoshi Miyazaki presented their research results. Prof. Chieko Umetsu, the leader of the Resilience Project, gave a keynote speech at the Japan International Research Center for Agricultural Sciences (JIRCAS) International Symposium 2012 on "Resilient Food Production Systems: The Role of Agricultural Technology Development in Developing Regions." Based on research findings from the Resilience Project, Prof. Umetsu stressed the need to consider resilience of the entire food system and proposed a comprehensive approach to food security. Prof. Takeshi Sakurai, a core member of the Resilience Project, also served as a member of the discussant panel. For more details, please visit the organizer's website. Ms. Arimi Mitsunaga at the Graduate School of Health Sciences, Hokkaido University, received the best poster award at the Hokkaido Universtiy's Sustainability Research Poster Contest. Ms. Arimi's winning poster entitled "An Assessment of the Growth and Nutritional Status of Children in Zambia" was based on the data of the Resilience Project. She is currently a student under the guidance of Dr. Taro Yamauchi. This award was given to the poster presentation at the World Water Week 2012: Water and Food Security by Prof. Chieko Umetsu. The title of the poster was “Building farmers' resilience to food insecurity in Southern Zambia under rainfall variability” co-authored by Chieko Umetsu, Yudai Ishimoto, Hiromitsu Kanno, Thamana Lekprichakul, Hidetoshi Miyazaki, Takeshi Sakurai, Hitoshi Shinjo, and Taro Yamauchi.More details and a video clip of the award presentation are available at RIHN's website. The Resilience Project has now progressed from a Full Research (FR) phase to a Completed Research (CR) phase starting from FY2012 to FY2014. During this CR period, the project will focus on knowledge disseminations. 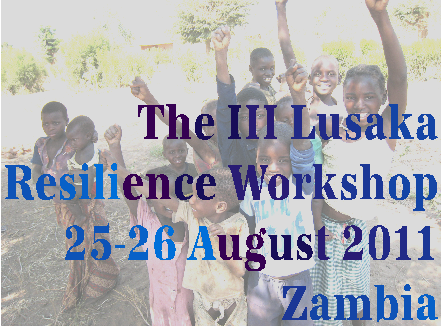 The fourth Lusaka Resilience Workshop has been planned for August 2013. The project will continue to provide Resilience Working Paper Series as a forum to communicate resilience research and to refine ideas. For authors interested in contributing a working paper, please see author instructions here. On 16th February 2012, external Project Evaluation Committee (PEC) members met to evaluate RIHN's projects. The Resilience Project has been favorably rated as highly compatible with RIHN’s founding mission and as a successful achiever of most of the original research goals which is the highest category of project rating. The project wishes to express sincere gratitude to project members, collaborators from Zambia, India and the USA, and farmers for their tireless contributions. We also wish to thank PEC members for their valuable advice and for their positive review. Mr. Ken MIURA, a member of the Resilience Project and a Ph.D candidate of the Graduate School of Economics, Hitotsubashi University, has received the best poster award at the Japanese Agricultural Economics Association Annual Meeting 29-30 March 2012 held at Kyushu University. The title of the poster was "Who Purchases Weather Index Insurance? : Results from a Field Experiment in Rural Zambia". 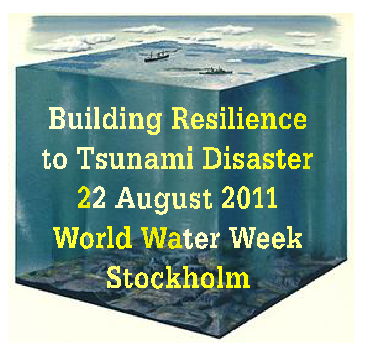 The poster was co-authored by Prof. Takeshi SAKURAI, a core member of the Resilience Project. At the Planet under Pressure Meeting in London 25-29 March 2012, Associate Professor Chieko UMETSU, the leader of the Resilience Project, presented outcomes of the Project at the Food Security session organized by Ken Cassman, Peter Gregory, Mike Bushell, and Sebastain Sensnesi. The session was filled with 200 people and active discussion followed. Working Paper on Social-Ecological Resilience Series No. 2012-018 has been published. Akinori KITSUKI and Takeshi SAKURAI, Hitotsubashi University, are the authors of the working paper titled "Consumption Smoothing and the Role of Wild Food Items in Rural Zambia"
Working Paper on Social-Ecological Resilience Series No. 2012-017 has been published. Sayuri KON*, Thamana LEKPRICHAKUL** and Taro YAMAUCHI* are the authors of the working paper titled "Nutrient Intake, Physical Activity, and Travel Patterns of Adults Living in Contrasting Ecological Zones in Rural Zambia during the Less Labor-intensive Season for Farming"
Working Paper on Social-Ecological Resilience Series No. 2012-016 has been published. Yudai ISHIMOTO and Hidetoshi MIYAZAKI, Research Institute for Humanity and Nature , are the authors of the working paper titled "Historical Change of Neighborhood Community and Marriage Range of Gwembe Tonga in Southern Zambia"
Working Paper on Social-Ecological Resilience Series No. 2012-015 has been published. 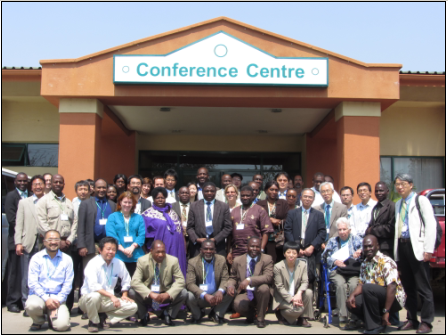 Hidetoshi MIYAZAKI, Yudai ISHIMOTO and Ueru TANAKA, Research Institute for Humanity and Nature, are the authors of the working paper titled "The Importance of Sweet Potatoes in Rural Villages in Southern Province, Zambia"
Working Paper on Social-Ecological Resilience Series No. 2011-014 has been published. Noriko NARISAWA from Graduate School of Asian and African Area Studies (ASAFAS), Kyoto University, is the author of the working paper titled "Diversified Livelihood of Peasant Women in Southern Zambia"
The Social-Ecological Resilience Project and Zambia Agricultural Research Institute (ZARI) held a series of village meetings to provide research feedback at the Resilience Project’s study sites in Southern Province from 28-30 August 2011. 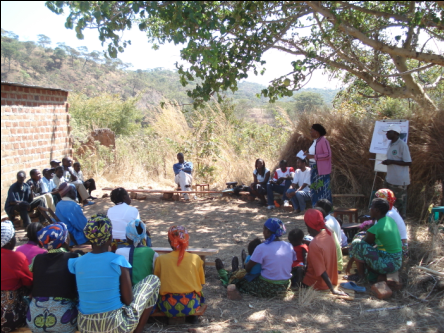 A total number of 180 villagers attended research feedback meetings. During the events, key research findings that are of interest to villagers such as variability of rainfall patterns, maize yield and villagers’ health status were explained. Farmers also reflected and discussed their local vision of how to improve resilience of their livelihoods in lively atmospheres. 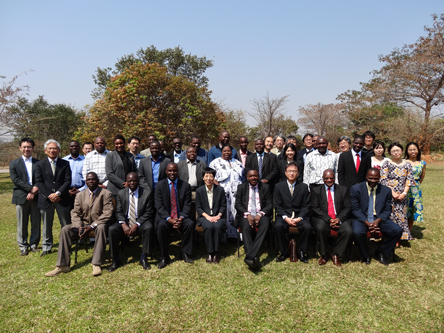 The Third Lusaka Resilience Workshop, held at the Golfview Hotel, Lusaka, Zambia, was successfully completed on Aug 25, 2011. The central theme of the workshop was "Towards Resilience of Rural Households and Communities". His excellency, Mr. Akio Egawa, the Ambassador of Japan in Zambia, graced this important occasion by personally delivering an opening speech and warmly interacting with participants. Sixty-one attendees from various international development agencies, universities, research institutes, government officials and non-profit organizations attended this special event. 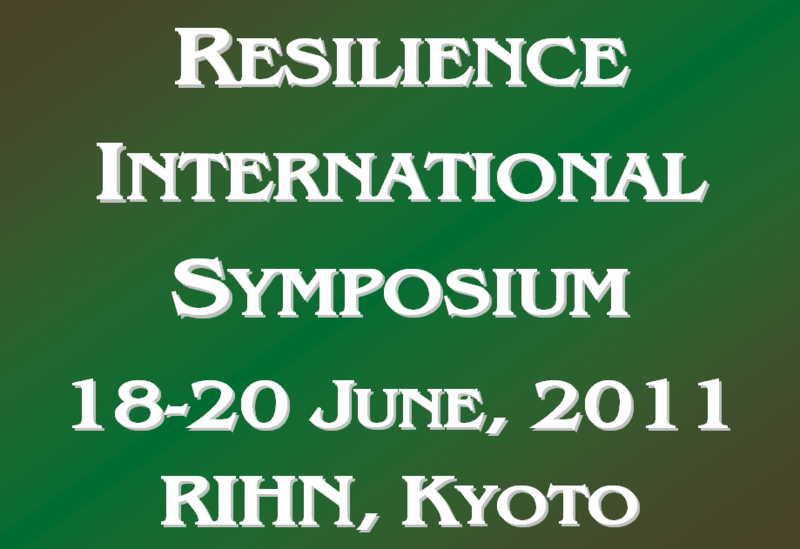 The RIHN’s Resilience Project together with the RIHN’s Oikos Initiative successfully held the Resilience International Symposium under the theme “Building Social-Ecological Resilience in a Changing World” between 18-20 June 2011 at the Research Institute for Humanity and Nature, Kyoto. Working Paper on Social-Ecological Resilience Series No. 2011-013 has been published. Emerita Professor Elizabeth Colson, University of California at Berkeley, who has spent more than 50 years conducting research in Gwembe Tonga of Southern Province, Zambia is the author of this invited paper. Four project’s members, i.e. 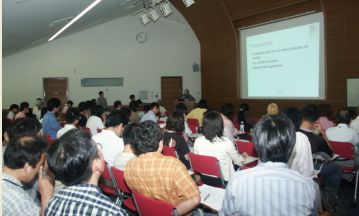 Chieko UMETSU, Takeshi SAKURAI, Thamana LEKPRICHAKUL and Shuhei SHIMADA, presented their papers under an organized session on "Resilience of Social-Ecological and Poverty Reduction" at the Japan Association of International Development (JASID) Annual Meeting 2010. 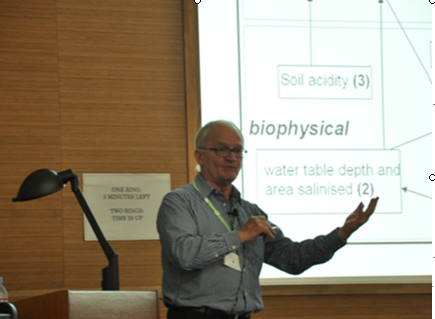 The conference was held at Waseda University, Tokyo, between December 4-5 . A large group of audiences of approximately 80 persons attended the session in a lively discussion atmosphere, particularly on the roles of resilience on developments. Four members of the Social-Ecological Resilience Project, i.e. 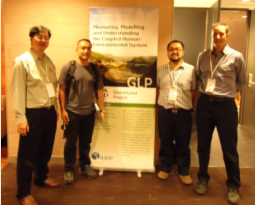 (from right to left) Tom Evans, Hidetoshi Miyazaki, Kume Takeshi, and Thamana Lekprichakul, presented their studies on issues relating to social-ecological resilience at the GLP Open Science Meeting 2010 at the Arizona State University between October 17-19, 2010. To view abstracts of all four presentations, please click here. 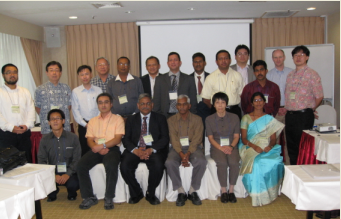 The Social-Ecological Resilience Project successfully held an international workshop on "The Indian Ocean Tsunami: 5 Years Later" at the Hotel Grand Pacific (formerly called the Allson Hotel), Singapore on March 3rd, 2010. The workshop was attended by researchers and policy makers from India, Sri Lanka, Indonesia, Singapore,Thailand and Japan. Objectives, presenters, paper title and abstract can be found here. 13th October 2009 Elinor Ostrom Won the Nobel Prize in Economic Sciences! Professor Elinor Ostrom of Indiana University has become the first female to win the Nobel Prize in economics. The prize is shared by professor Oliver Williamson of UC Berkeley. They won the award for their seminal work in the field of economic governance. We feel particularly close to Professor Ostrom because of our common interest in resilience research and her past connection with our project. 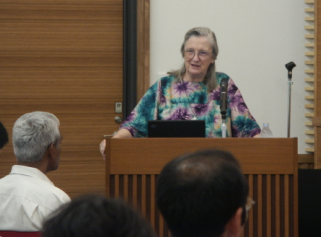 On July 3rd, 2006, the Resilience Project together with the Society of Commons Studies and Biwa-Yodo Watershed Project invited professor Ostrom to give a lecture on "Developing Methods for Institutional Analysis" at the Research Institute for Humanity and Nature. scholars from various institutes and general public. Congratulations to professor Ostrom and professor Williamson!!! 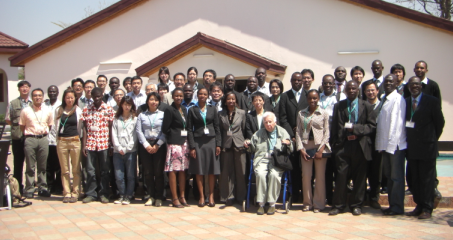 28th August 2009 The 2nd Lusaka Workshop on Social-Ecological Resilience Was a Success. 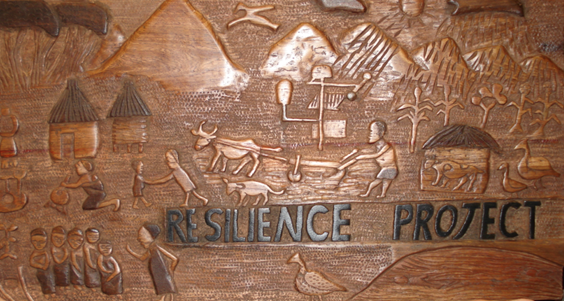 The RIHN's Resilience Project together with Zambia Agriculture Research Institute (ZARI) jointly organized the second Resilience Workshop on the 28th August 2009 at Mika Lodge, Zambia. More than 50 participants from various countries such as Japan, USA, Kenya, Zimbabwe and Zambia attended the workshop in a lively and insightful discussion atmosphere. The workshop was privileged to have Dr. Elizabeth Colson, a UC Berkeley's emerita professor who has studied Zambia's Tonga since 1950s, in attendance to provide comments. Copyright © 2013 Project E-04 (CR2), Research Institute for Humanity and Nature. All Right Reserved.